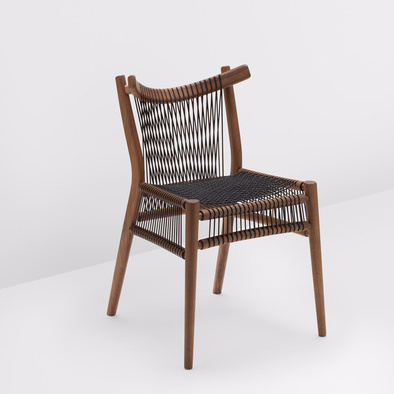 The defining piece in the Leather Collection is a hybrid dining chair and comfy lounge chair. 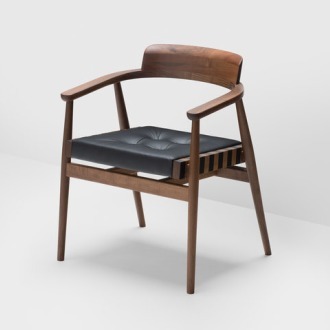 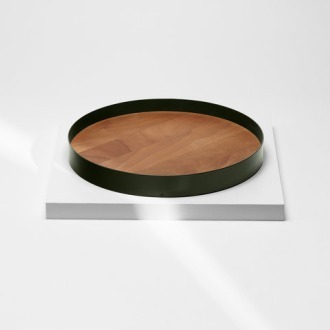 Constructed from light wood and dark black leather, the piece takes its inspiration from mid-century Scandinavian design. 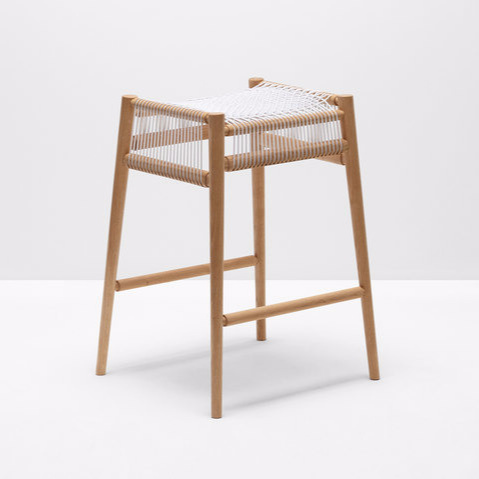 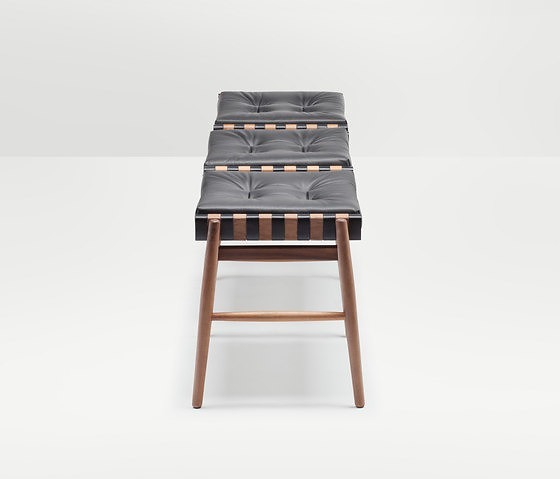 Repeated strips of leather on the sides and vertical wooden uprights on the back of the backrest create a sense of visual rhythm and musicality, while the proportions and profile remain reassuringly classic. 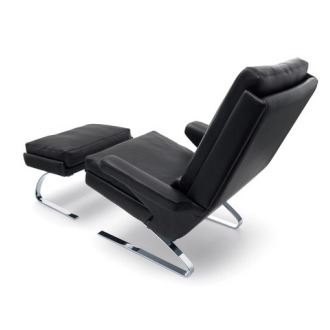 The leather seats and backrest are buttoned and well padded, as comfort is a priority. 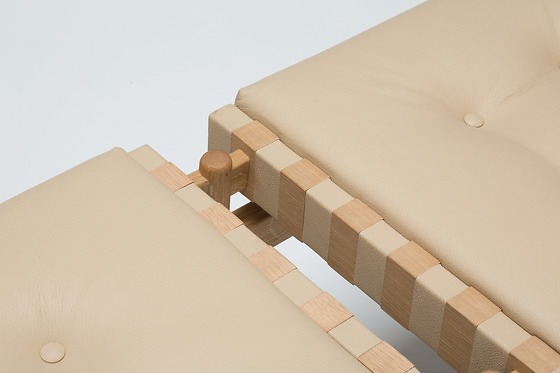 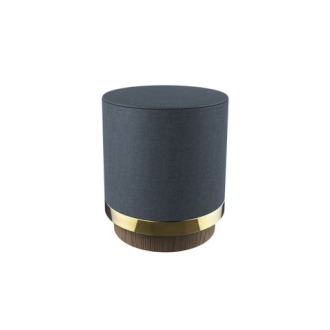 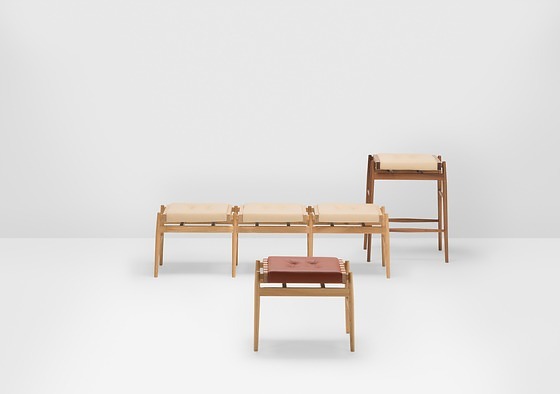 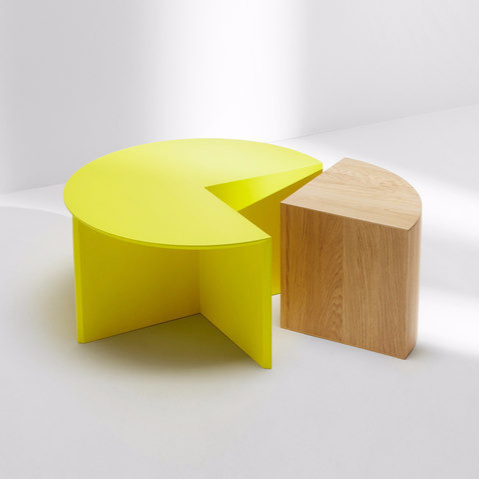 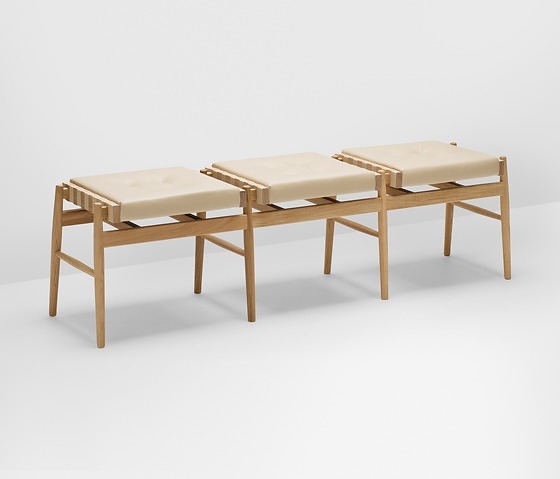 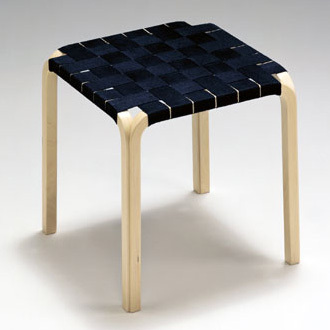 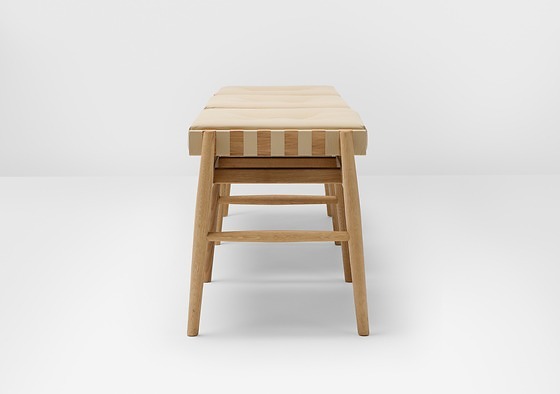 The collection also features a triple stool, which is a new tipology — neither a bench nor a stool. 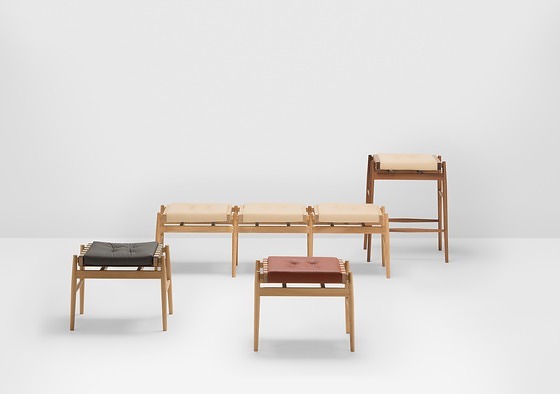 The Leather Triple Stool is a new typology — neither a bench nor a stool. 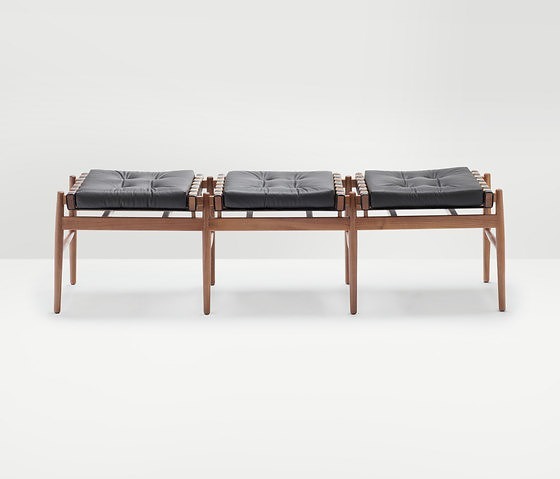 However, its proportions and profile remain reassuringly classic, based on the clean, minimalist lines of mid-century Scandinavian design. 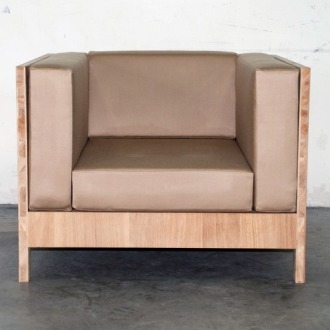 The leather seats are buttoned and well padded, as comfort is paramount. 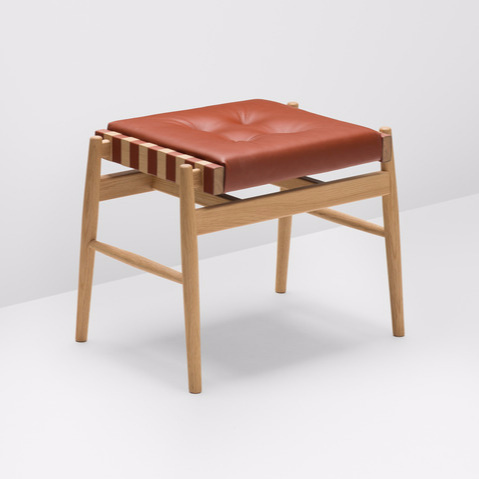 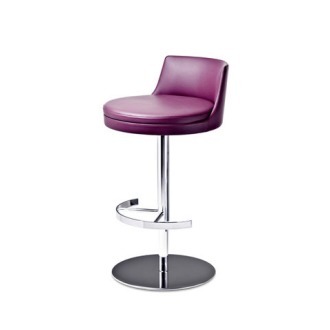 45cm high and featuring eight, beautifully tapering legs, the Leather Triple Stool features immaculate leather upholstery work, and is available in wide choice of solid wood and leather finishes. 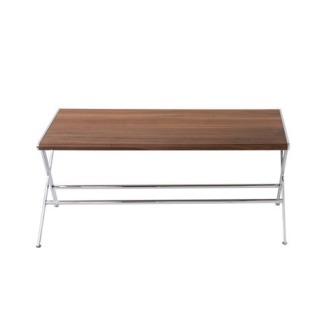 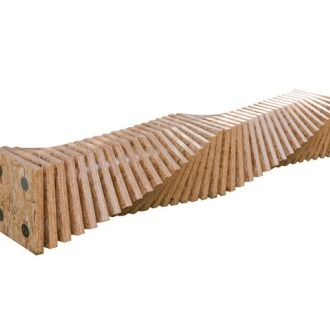 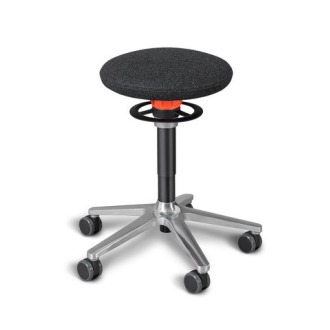 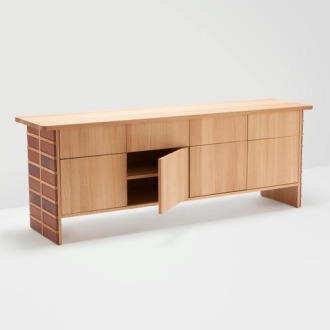 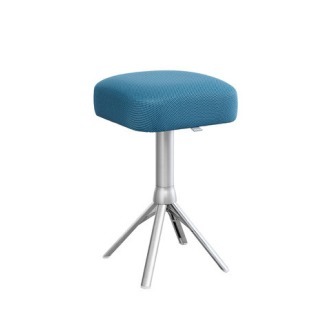 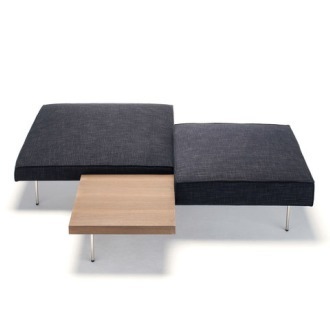 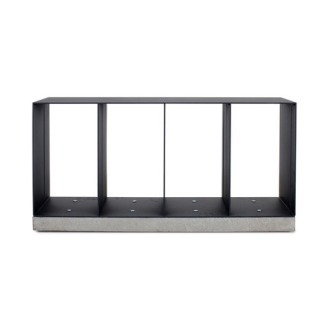 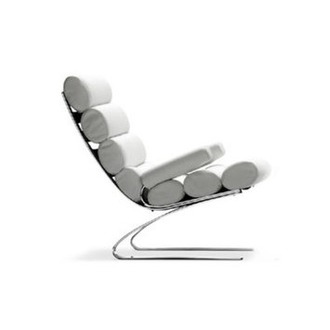 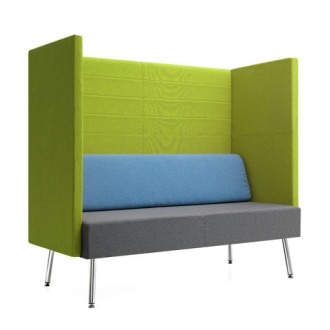 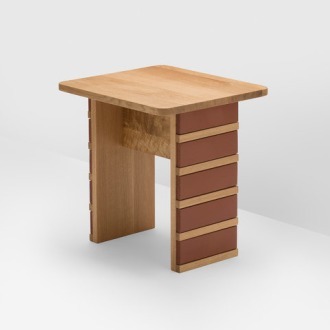 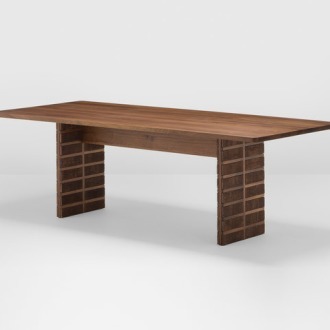 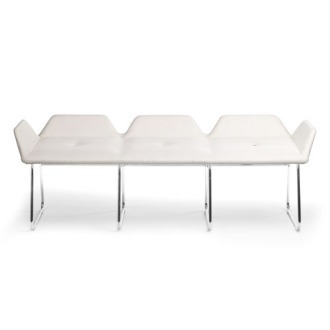 This piece is practical and versatile and can provide seating in almost any room in the house or the office. 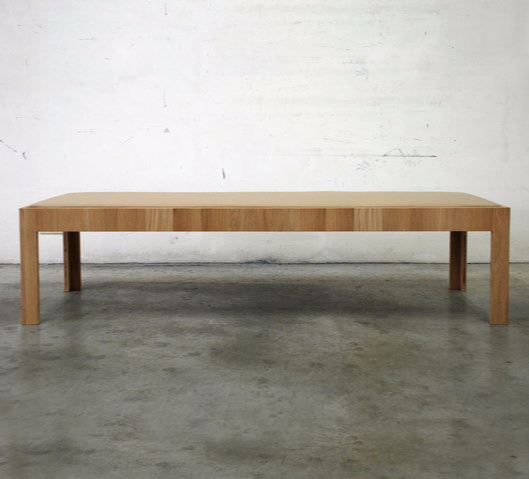 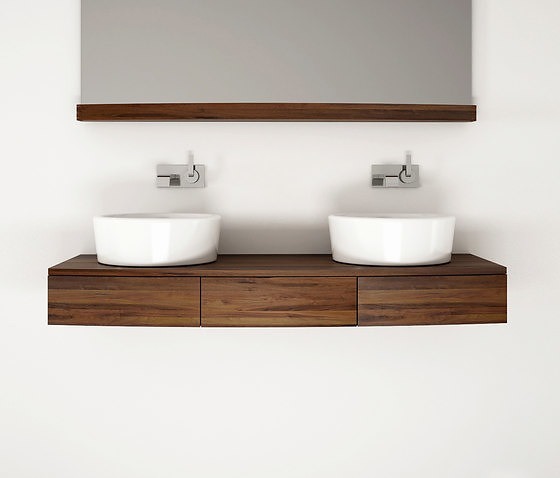 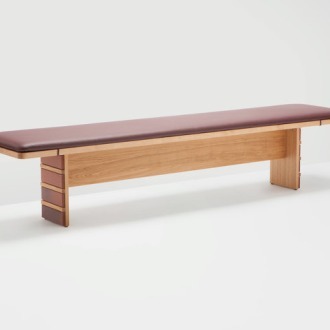 H also offers a bespoke service, so clients can order a particular size or customized finish. 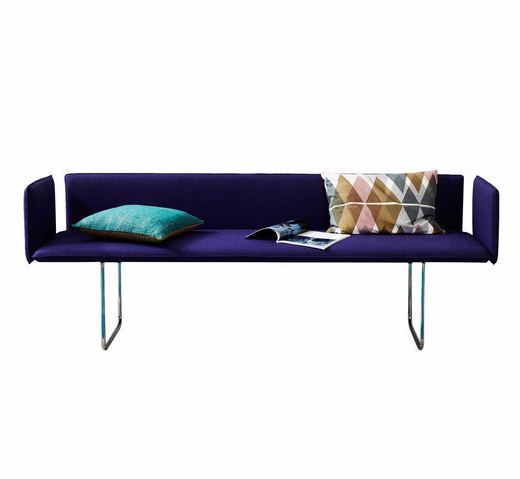 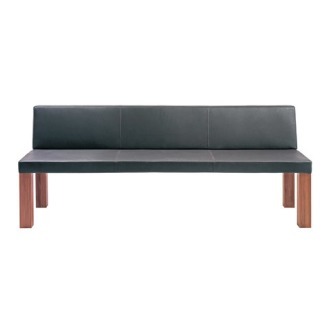 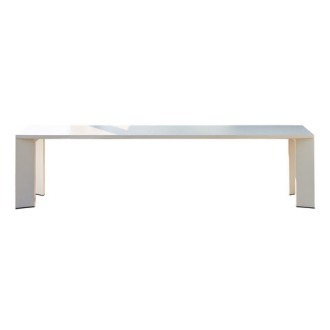 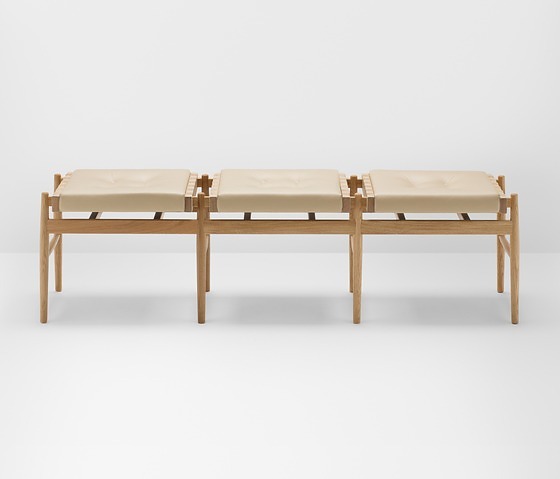 Bench with frame in solid wood and seating areas fully upholstered in leather (PU foam).